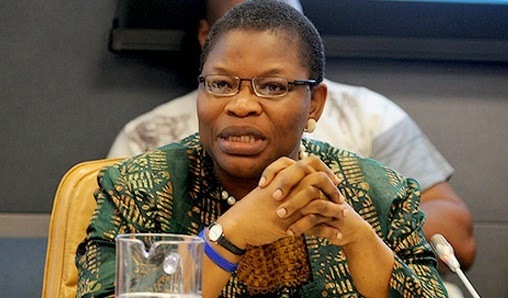 The Presidential candidate of the Allied Congress Party of Nigeria, ACPN, Dr. Oby Ezekwesili, has lamented the desperation of some presidential candidates to be in power. She cautioned Nigerians on voting for candidates that had failed in the past. Ezekwesili said Nigeria needed innovative and creative leaders to move the country forward. According to her, these politicians are already sponsoring and attending book publications that will help shore up their battered reputation and deceive Nigerians into voting them into power. This was contained in a press statement issued to us by her campaign office, HOPE 2019, on Thursday. The ACPN presidential candidate advised Nigerians not to be deceived by “empty promises” ahead of the 2019 presidential elections. The statement read, “Your concern should rather be on how to elect a president who thinks globally and acts locally. Nigerians need a president who understands how to create millions of job opportunities via Blockchain technology and the Internet of Things (IoT). “You need a president who understands the importance of cloud technology and Big Data in Nigeria’s business environment. The plan should be detailed towards electing a president who will maximize the power of artificial Intelligence while ensuring that our youths do not lose their jobs to the AI technology. “Do not elect a president who is scared to attend a presidential debate where he would discuss his plans for the country with Nigerians, but would rather send a ministerial representative. Do note vote in a leader whose usage of the social media is very primitive. “Nigeria needs a president who understands financial technology and micro-economics. The country needs a leader who understands youth empowerment and entrepreneurship.